Organograph is a public artwork designed for the San Jose Climate Clock Initiative. Organograph was designed by Geo Homsy, Chico MacMurtrie, and Bill Washabaugh beginning in 2008 as a proposal for the international design competition. The sculpture presented on this website represents the evolution of that design over the course of several years. The public call for proposals asked for an iconic work that would have a target budget of $20 million dollars, and a 100 year minimum scope of operations. The work would take the complex data around climate change and represent it in a way that makes it easy to understand and thus relevant to individuals. The Climate Clock will weave San José’s culture of technological innovation with art and climate data; creating an iconic signature work of public art for Silicon Valley that will help to measure climate change, make the process more visible, and engage and inspire individuals to personally explore and modify their carbon footprints. 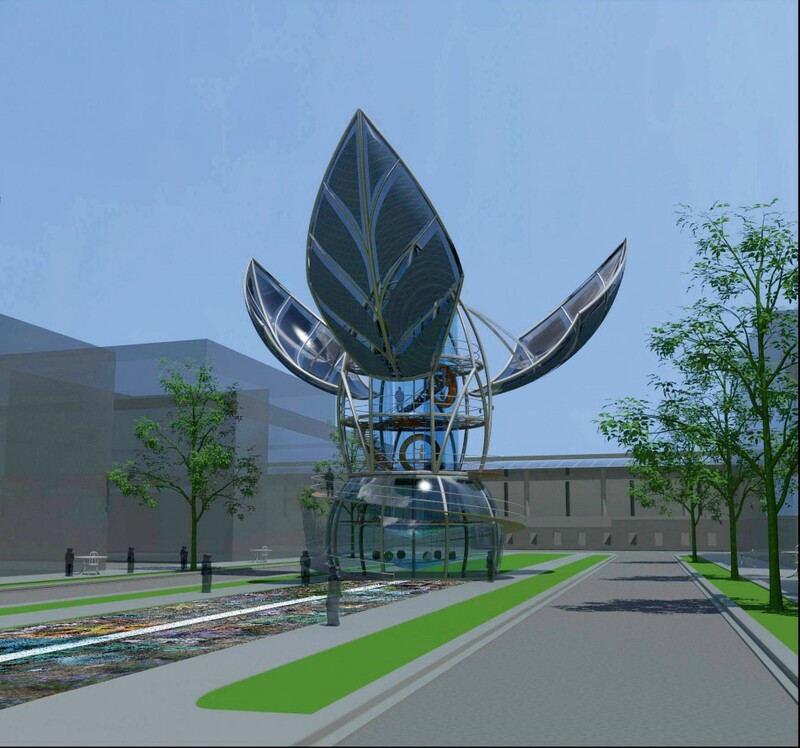 The sculpture is proposed for public integration to the Diridon Station area in downtown San Jose, California where it will interact with the community and the environment for the next 100 years. Organograph is an ever-changing, participatory sculpture that invites the public to observe and respond to the processes of climate change. Visually and physically accessible, it functions as a captivating civic beacon as well as a flexible instrument of scientific measurement, public education, and individual experience. The total mechanism of the sculpture responds to and provides a window into worldwide climate data.